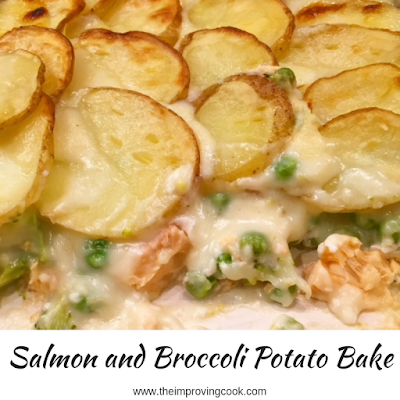 Salmon and Broccoli Potato Bake- salmon, broccoli and peas in a cheesy sauce and topped off with sliced potatoes. 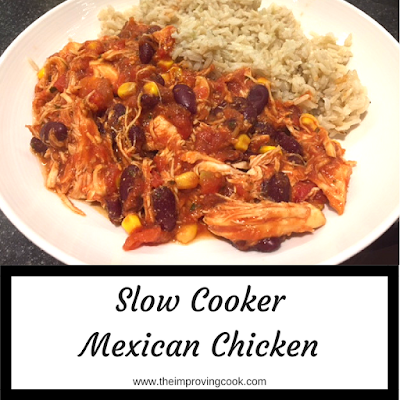 A real winter warmer for family meals. 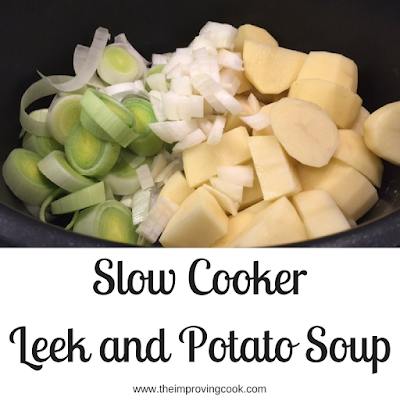 I'm always looking for good recipes to add to my winter comfort food list. If they can include some healthy elements, then so much the better. 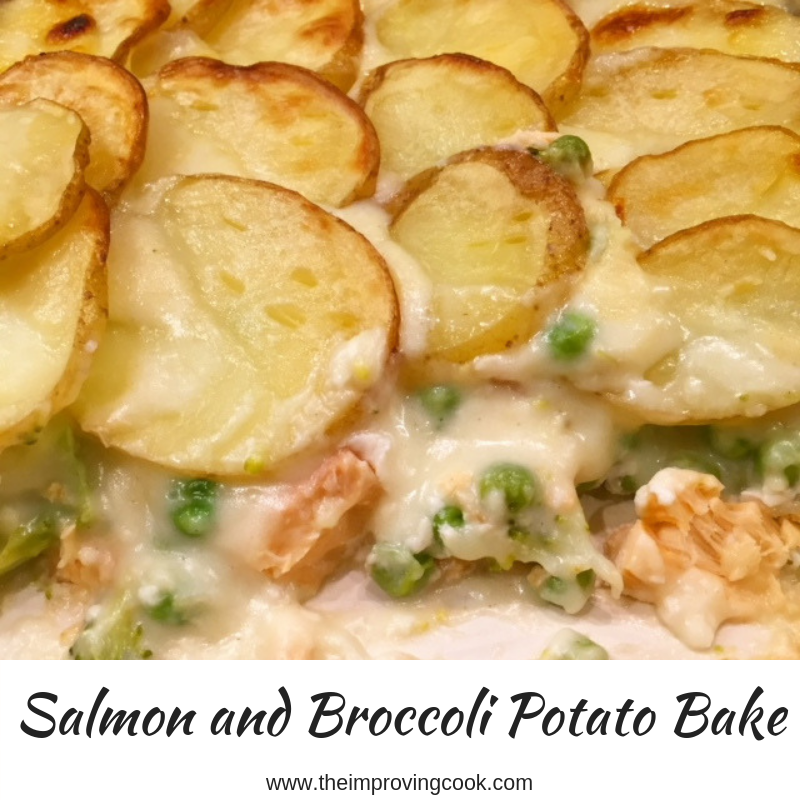 I love this Salmon and Broccoli Potato Bake because it tastes really indulgent with its creamy, cheesy sauce but it's also full of peas and broccoli, and of course salmon! It's a bit of a spin on one of my other favourite winter recipes- Beef Mince Hot Pot, which also features sliced potatoes on the top. If you're a fan of this type of dish then have a look at Garlic Chicken and Leek Potato Bake too. 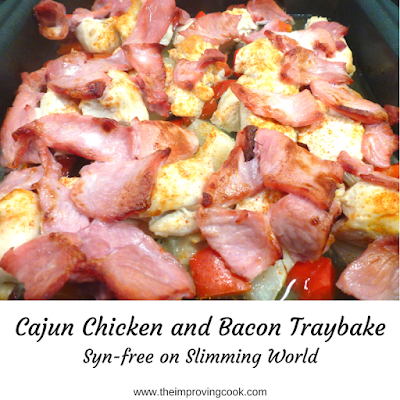 For the full recipe, please find the recipe card at the end of this post. Chop the salmon fillets into chunks and spread across the bottom of a casserole dish. Chop the broccoli into small florets and layer over the salmon with the frozen peas. Make a white sauce and add grated cheese, add a little extra milk to make sure it's not too thick. Add the sauce to the casserole dish so it covers the other ingredients. Slice potatoes, parboil them and then layer over the top and spray with oil. Bake in the oven until the potatoes are browning on the top. 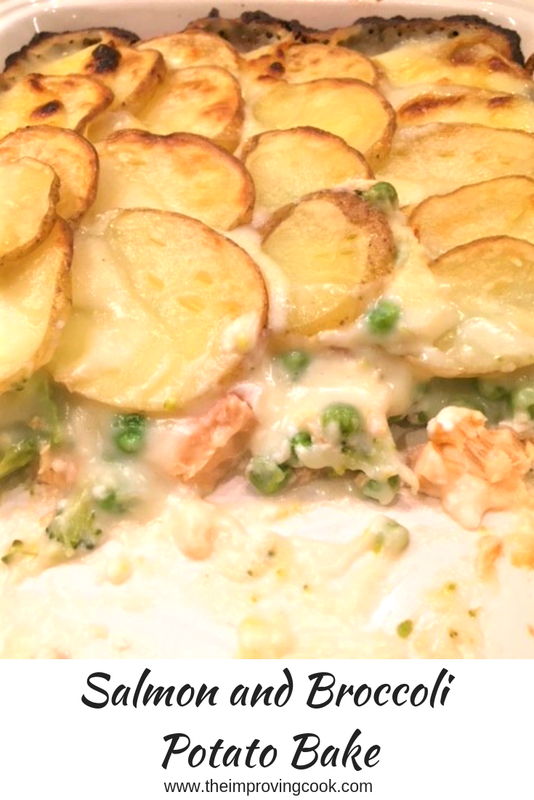 2.Chop the salmon into chunks and spread across the bottom of a casserole dish. 3. Chop the stalk off the broccoli and cut the head into small florets. Spread them, along with the frozen peas, on top of the salmon. 5. Melt the butter in a small saucepan on medium heat. Mix in the flour until it makes a paste and allow to cook through for a minute or two, stirring occasionally. 7. Stir in the grated cheese until it has melted. 8. Pour the sauce over the other ingredients. It should just cover them. Rather than discarding the rounded ends of the potatoes, which are a bit hard to layer, pop them on a baking tray along with any left-over slices and spray them with oil. You can always slice up another potato as well and then bake them in the oven as 'bonus potatoes' for any potato lovers.